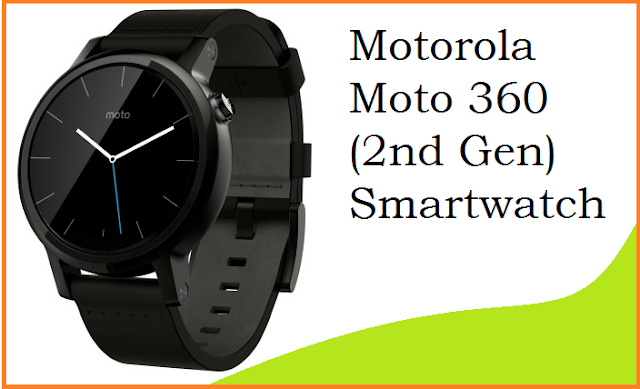 Moto 360 smartwatch has cool look ,and provide bluetooth connectivity to your smartwatch notification. What you can do with your Moto 360 Smartwatch? 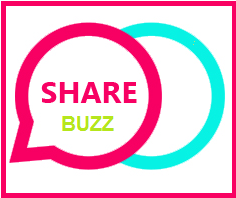 Get notification without picking smartphone from pocket. Get Google Maps directions from this watch. Add task to do list. HTC One A9 from HTC is a Quad-core 1.5 GHz Cortex-A53 & quad-core 1.2 GHz Cortex-A53 powered smartphone running over a 5.0 inches screen. This handset was launched in India on 2015, September. 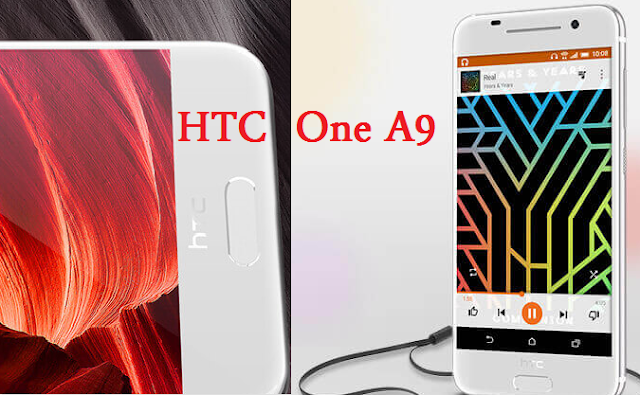 HTC One A9 will be available in India for Rs 29,990. It's a Nano-SIM handset sporting a 5.0 inches screen with 1080 x 1920 pixels resolution Handset weight 5.04 oz with Non-removable Li-Ion 2150 mAh battery. HTC One A9 is using the chipset Qualcomm MSM8952 Snapdragon 617. It is running with HSPA, LTE Cat7 300/100 Mbps speed. There is 13 MP front camera and 4 MP HDR rear camera . Its memory configuration is as : internal memory-16 GB, 2 GB RAM. It has Corning Gorilla Glass 4 ,and comes up with a dimension of 5.74 x 2.79 x 0.29 in. When we talk about features. It supports microSD, up to 200 GB. GPU : Adreno 405. Display Type : AMOLED capacitive touchscreen, 16M colors. Video: 1080p@30fps, check quality. Other feature:Geo-tagging, touch focus, face detection, panorama, HDR. Yu, which is merged with Micromax and sells smartphones online. 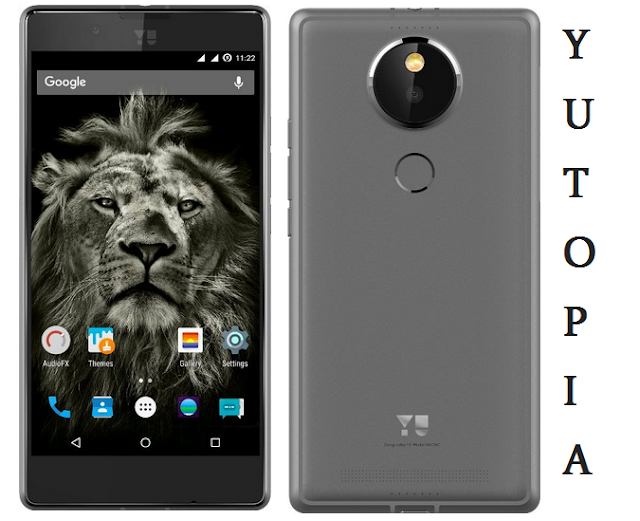 Yutopia from YU is a 2GHz A57 quad core + 1.5GHz A53 quad core Qualcomm Snapdragon 810 processor powered smartphone running over a 5.2 inches screen. This handset was launched in India on 2015, Dec. Yutopia will be available in India for Rs 24,999. It supports dual SIM (micro (4G)+nano (4G)). 3000mAH lithium-ion battery providing talk-time of 8 hours and standby time of 300 hours. 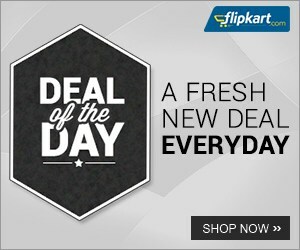 Yutopia is available on amazon. Yutopia has 2560 x 1440 pixels resolution. Yutopia latest Gadgets launched in India. It has come with Aluminium body. Sharp has created its screen that is 5.2 inches. Corning Gorilla Glass provide protection to its screen. It comes up with android lollipop with marshmallow update later support. 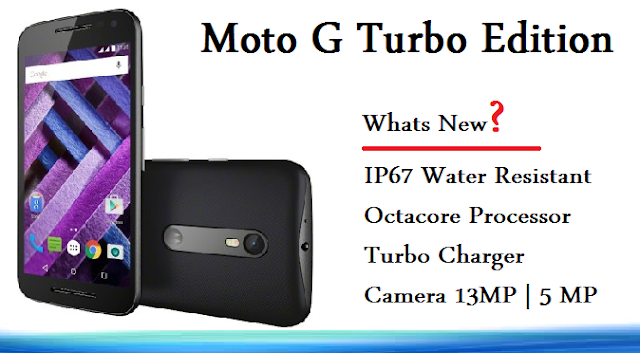 Moto G Turbo Edition from Motorola is a Quad-core 1.5 GHz Cortex-A53 & quad-core 1.0 GHz Cortex-A53 powered smartphone running over a 5.0 inches screen is available online on flipkart. This handset was launched in India on 2015, November. Moto G Turbo Edition will be available in India for Rs 14,499. It's a Dual SIM handset sporting a 5.0 inches screen with 720 x 1280 pixels resolution Handset weight 155 g with Non-removable Li-Ion 2470 mAh battery. Moto G Turbo Edition is using the chipset Qualcomm MSM8939 Snapdragon 615. It is running with HSPA 42.2/5.76 Mbps, LTE Cat4 150/50 Mbps speed. There is 13 MP, autofocus, dual-LED (dual tone) flash front camera and 5 MP, auto-HDR rear camera . Its memory configuration is as : internal memory-16 GB, 2 GB RAM. It has Corning Gorilla Glass 3 ,and comes up with a dimension of 142.1 x 72.4 x 11.6 mm. When we talk about features. It supports microSD, up to 32 GB. Display Type: IPS LCD capacitive touchscreen, 16M colors. Other feature:Geo-tagging, touch focus, face detection, panorama, auto-HDR. 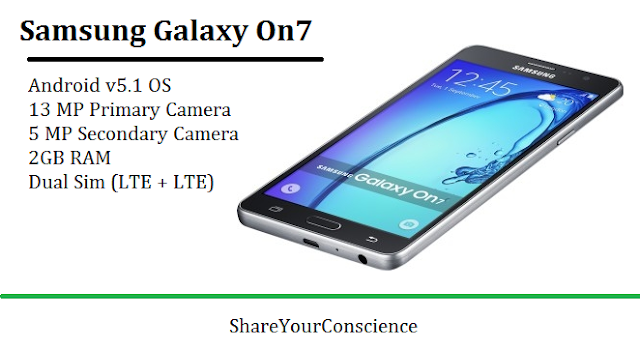 Samsung Galaxy On7 from Samsung is a Quad-core 1.2 GHz powered smartphone running over a 5.5 inches screen. This handset was launched in India on 2015, October. Samsung Galaxy On7 will be available in India for Rs 10,990. Its a Dual SIM (Micro-SIM, dual stand-by) handset sporting a 5.5 inches screen with 720 x 1280 pixels resolution Handset weight 172 g (6.07 oz) with Li-Ion 3000 mAh battery. Samsung Galaxy On7 is using the chipset . It is running with HSPA, LTE speed. There is 13 MP, 4128 x 3096 pixels, autofocus, LED flash front camera and 5 MP rear camera . Its memory configuration is as : internal memory-8 GB, 1.5 GB RAM. It has ,and comes up with a dimension of 151.8 x 77.5 x 8.2 mm. When we talk about features. It supports microSD, up to 128 GB. Display Type: TFT capacitive touchscreen, 16M colors. Video: 1080p@30fps. Other feature:Geo-tagging, touch focus, face detection.